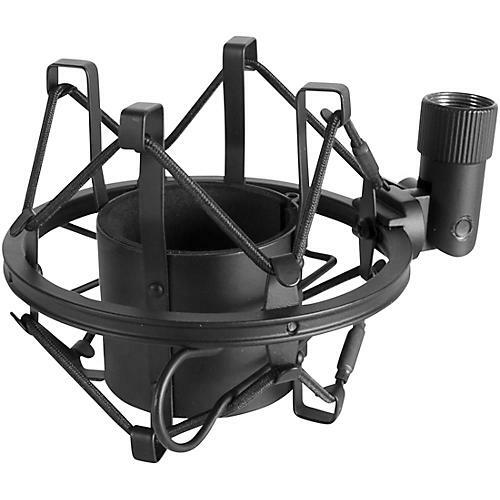 A studio microphone shock mount that fits most large diaphragm condenser mics including the OSM800. Die-cast steel adapter with 5/8-inch 27 threads. Black finish.